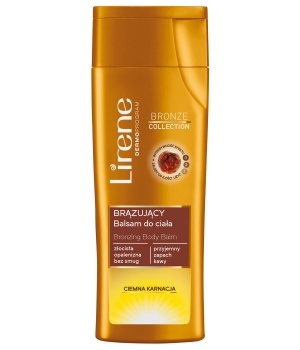 The bronzing body balm makes the skin gradually acquire a golden tan in a natural shade, adjusted to dark complexion. It provides uniform application and a beautiful tan effect without streaks or discolourations. The pleasant smell of coffee minimises the characteristic fragrance of self-tanning products.